CEEK VR 4D Advanced Headphones Delivering Incredible 360 Sound for Virtual Reality Games, Movies, Music Plus More! Continuing our leadership in innovating for Virtual Reality, we’re excited to unveil the brand new CEEK 4D Advanced 360 Audio Headphones. CEEK VR brand ambassador, Dani Carvajal has completed capture of an exclusive experience which will be released on the CEEK VR App. 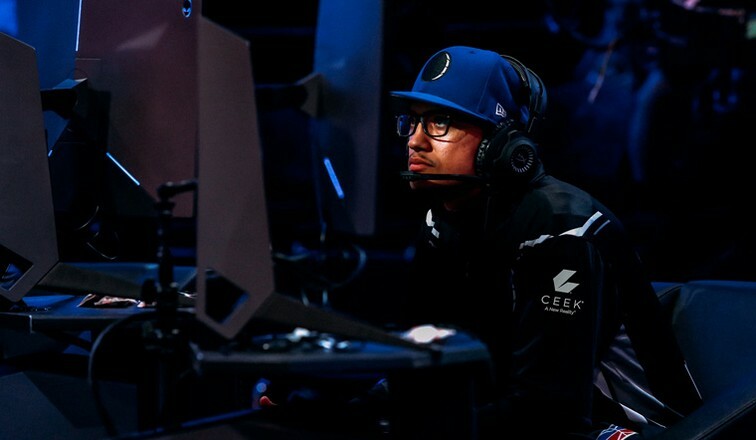 With Global eSports Economy set to top $1 Billion for the first time in 2019 and is expected to grow to 2 Billion by 2022 according to newzoo; eSports will be a major driver for headphones such as the CEEK VR Headphones and wearables in general. We look to extend CEEK’s eSports partnerships in grabbing a share of the estimated 334 Million headphones that are sold annually. By visualizing sound and adding haptic feedback based on audio intensity, The CEEK 4D Headphones are able to create differences in acoustical characteristics of a space in which a wave exists. These variations in the CEEK 4D Advanced Headphones enable the auditory system to accurately reproduce depth, range, perspective and distance of sound, close to how it existed in the real originating environment. Prior to the CEEK 4D Headphones, one could not achieve this kind of acoustic experience without powerful high-performance gaming computers draining CPU resources, plus it was close to impossible on mobile phones. Now with the CEEK 4D Advanced 360 Audio Headphones you can turn your mobile phone into a personal mega entertainment complex. While the CEEK 4D Advanced Headphones were created for GAMING & VR environments, it is equally powerful for enjoying music, movies, ASMR and other experiences. It is our mission is to make virtual reality experiences universally accessible and enjoyable for everyone, and that means equipping mobile users with accessories that create a high-end experience, once only achievable on desktop devices. What we have been able to achieve with the CEEK 4D Advanced 360 Audio Headphones is truly a breakthrough in sound, and wouldn’t have been possible without the amazing team. Our team comes with a proven track record of industry leaders ranging from Microsoft, Boeing, The Walt Disney Company, Dreamworks SKG, 20th Century Fox, Verizon and Zynga. Premium Destination for Virtual Reality Music Concerts, Entertainment & Education 1st blockchain marketplace for premium VR Experiences & Interactions.